A large number of automatic weather stations has been implemented in the frame of the BIOTA AFRICA project by the Namibian National Botanical Research Institute (NBRI) and the Group "Biodiversity, Evolution and Ecology" (BEE) of the University of Hamburg. The website offers hourly updates of data and graphs of a large number of weather parameters. 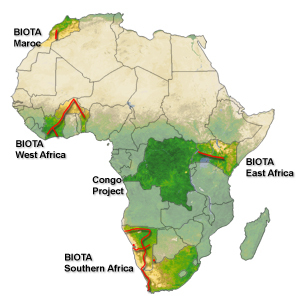 Scientific support for sustainable use and conservation of biodiversity in Africa. A continental observation network in Africa, contributing to GEOSS (Global Earth Observation System of Systems). 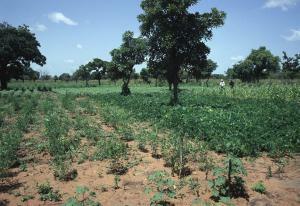 A network for observing land degradation and for developing measures to combat desertification in Africa. A network for capacity development and rural development in Africa.